Firstly, some general tips. A lot of the cafes are in the Phrom Pong, Thong Lor and Ekkamai area and the area is well serviced by the BTS. Traffic can greatly consume your time when moving around Bangkok by car hence I recommend familiarising yourself with BTS and staying at a hotel near one. Phrom Pong – EmQuartier is connected to Phrom Pong BTS. The high end mall is home to Roast, D’Ark and Vanilla Cafeteria. As a note to coffee drinkers, Thailand grow their own specialty coffee beans and many cafes try to showcase these local specialty grade beans. If you are looking for new coffee experiences, do ask the servers what’s being served (either espresso or filter) and look out for Thai beans. Roast is a must go when you are in Bangkok. They currently have 2 outlets, one in EmQuartier and another in the uber-hip The Commons. The EmQuartier branch is easily acccessible by BTS as the mall is connected to the BTS. The Commons is about 15 mins walk from Thong Lor BTS and Roast is on the top floor. While the menu is the same and while EmQuartier is more accessible, The Commons is where the cool and the hip hang out, which should be on your list. I tried both the brunch and dinner menu and both are great. Coffee is from Roots Coffee and filter beans include beans from Thailand. 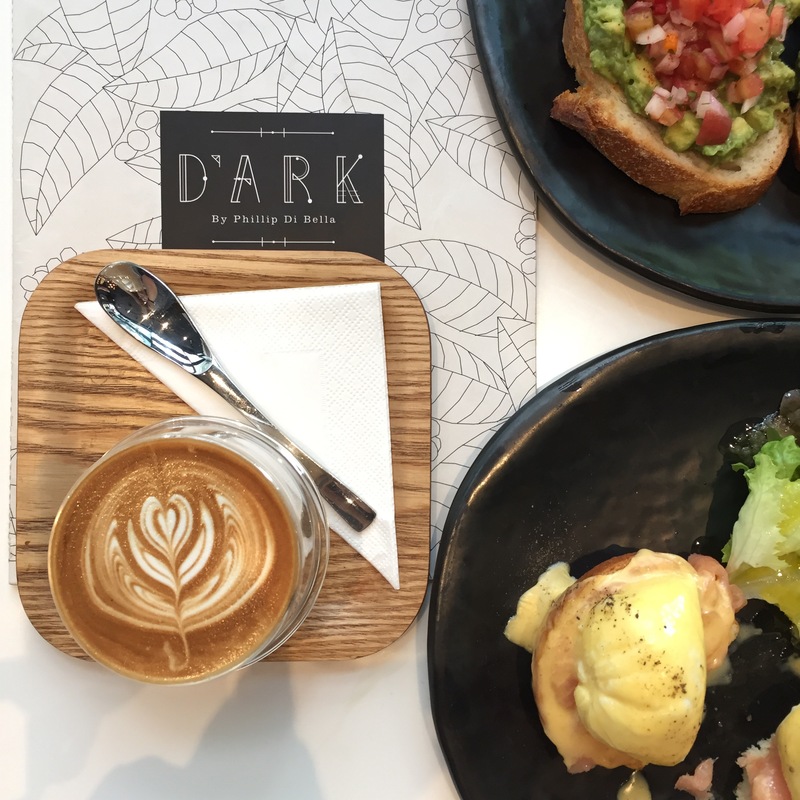 D’Ark was listed as one of the top cafes in Bangkok in 2016 by Thailand Tatler. Located in EmQuartier on the Ground floor. 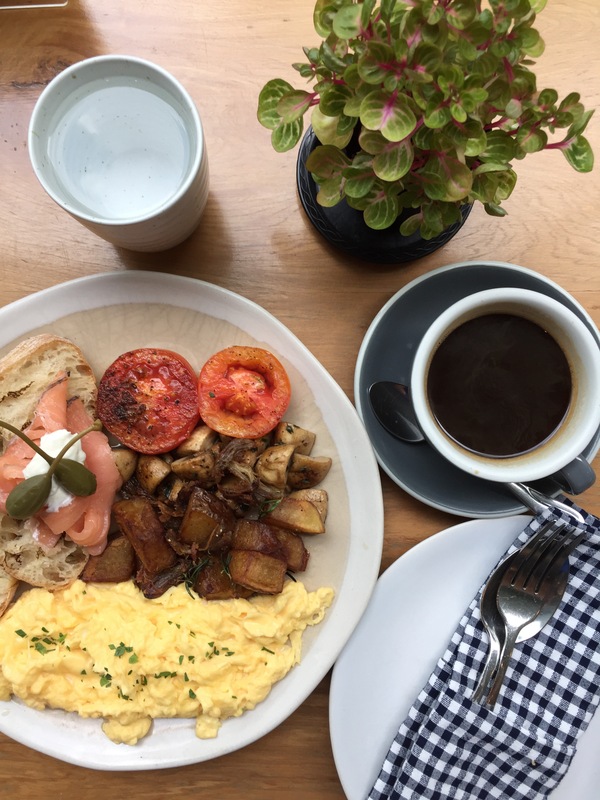 I had brunch here and it’s interesting to see poached eggs done with a slightly harder yolk – it’s great nonetheless. Located in EmQuartier, Vanilla Cafeteria’s range of dessert is superb and definitely made to share. 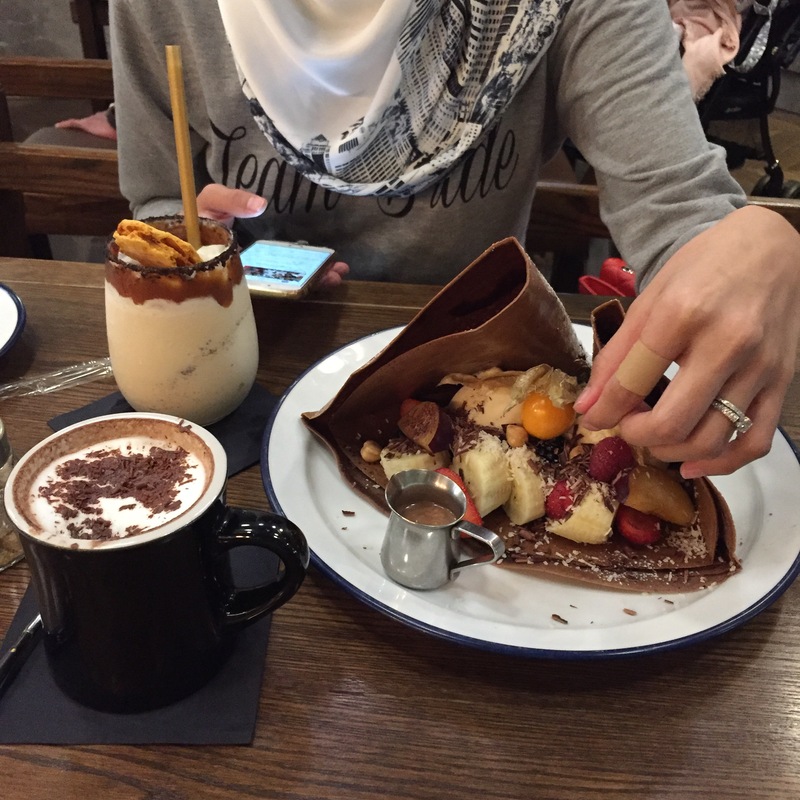 My recommendation is the Chocolate Nutella Crepe – a large chocolate crepe stuffed with vanilla ice cream, cream and fruits. The crepe itself is delicious and the filling and portion is a bonus. Audrey Cafe is a Audrey Hepburn inspired cafe and my recommendation is to visit the one in Thong Lor. The decor is very Breakfast at Tiffany’s, with splashes of mint green and decor reminiscent of that era. Audrey Cafe does both Western and Thai dishes and I always find a fusion of the two particularly interesting to try. 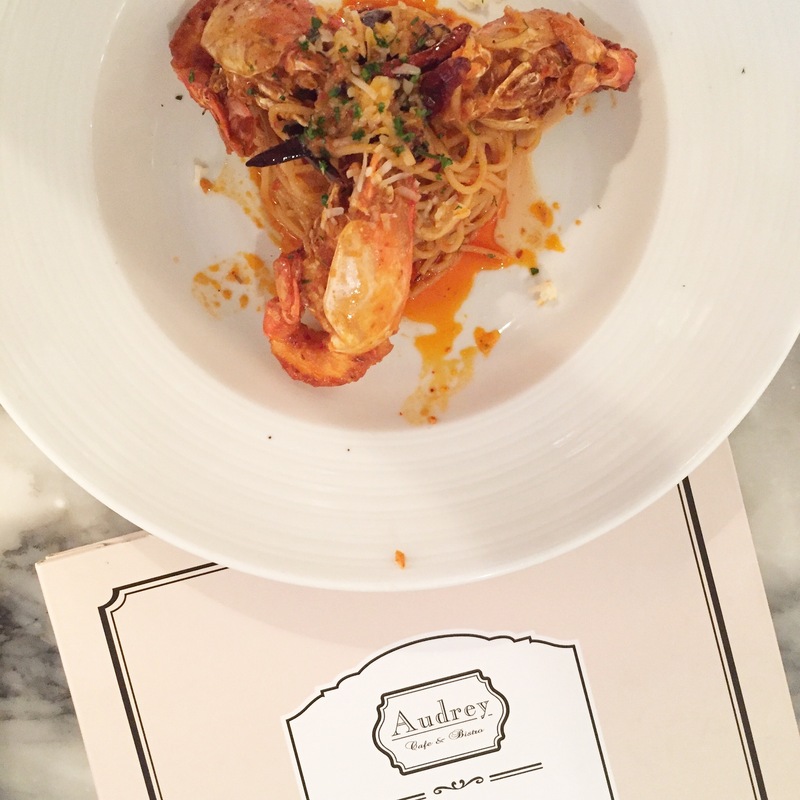 I had Tom Yum Spaghetti at quite a number of venues while I was in Bangkok and to me, Audrey Cafe does it best. After You is a dessert cafe and it’s been around since 2007. There’s quite a number of outlets but my recommendation is the one in Thong Lor as it’s situated very near The Commons and Audrey Cafe. 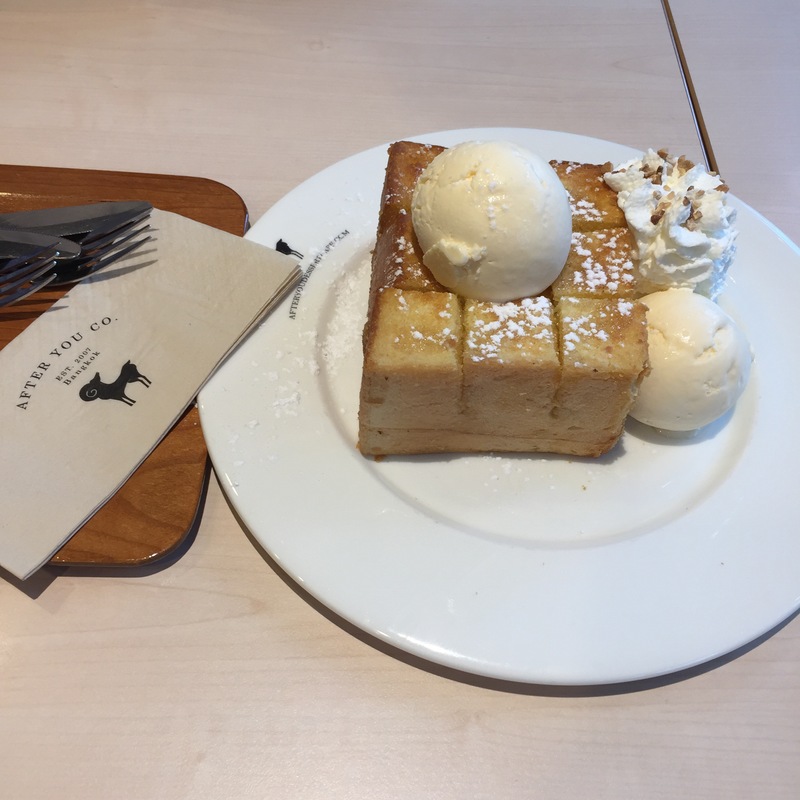 What originally made the shop famous is its Shibuya Honey Toast – fluffy thick sweet toast served with two scoops of vanilla ice cream and rich amounts of honey – I recommend that. As a dessert, the Shibuya Honey Toast has a balanced sweetness which allows you to eat one bite after another non stop. Another recommendation is the Mango Kakigori. 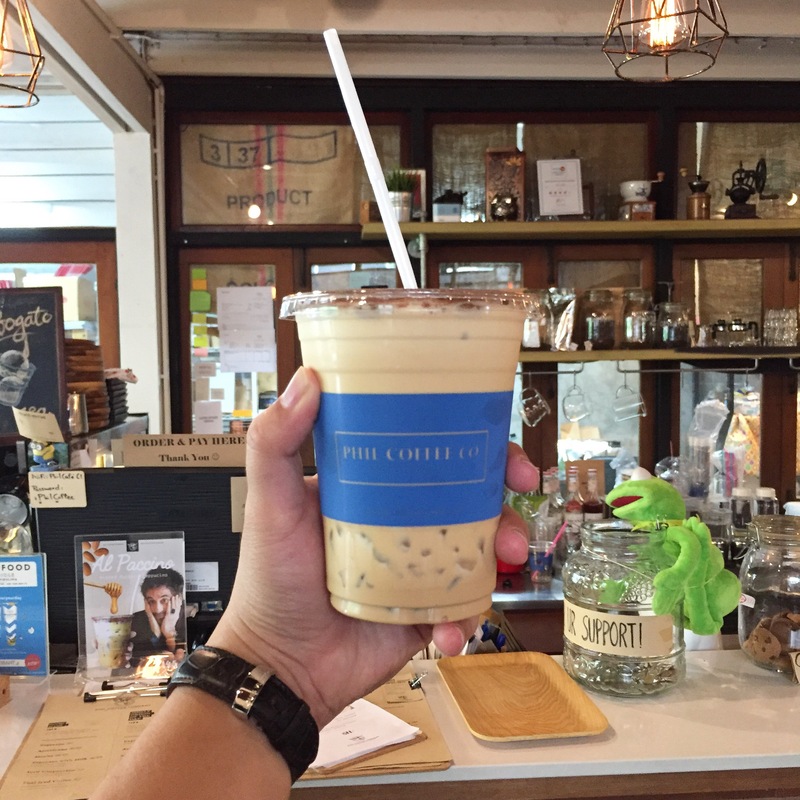 Phil Coffee Company is in the Ekkamai area and it’s located among houses. It’s a 10 minutes walk from the Ekkamai BTS. They roast their own beans and coffee is generally good – I had the ice cappuccino and the beans I was served had clear chocolatey nutty tasting notes. A surprisingly satisfying drink it’s their Watermelon Bubblegum Soda, after the 10 minute walk to get to the shop, this drink is a definite thirst quencher. My personal favourite. Kaizen is located in Ekkamai and it’s quite a walk from the Ekkamai BTS – my recommendation is if you are just going to Kaizen, take uber. I always assess a coffee shop or cafe by its range and quality of product, vibe and customer service and Kaizen excel in all. Floor staff are super friendly, they engage (and speak good English) and make great recommendation. I had nitro coffee there and it’s the best nitro I’ve ever had. 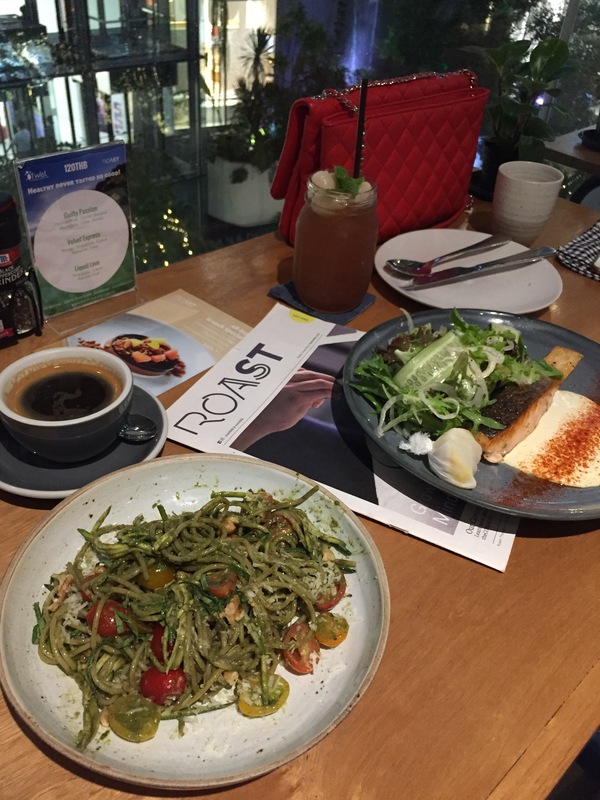 Greyhound is among the pioneer of the Bangkok cafes and it’s well established – you can find a Greyhound in most major malls (EmQuartier, Central World, JAvenue).